This factsheet provides the summary results of the 2013 pilot of the Environment and Gender Index. 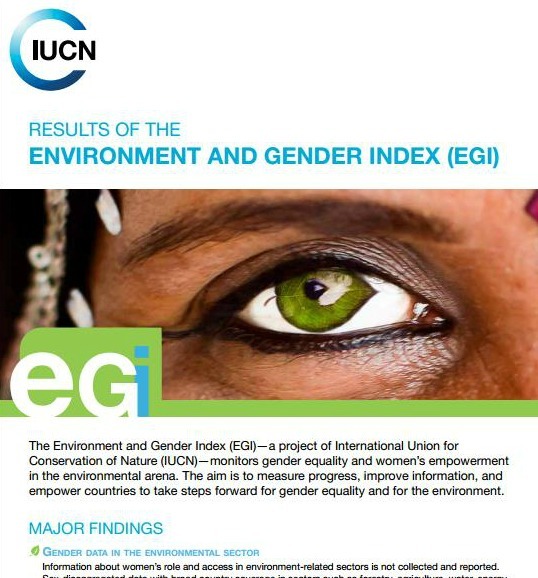 The Environment and Gender Index (EGI)—a project of International Union for Conservation of Nature (IUCN)—monitors gender equality and women’s empowerment in the environmental arena. The aim is to measure progress, improve information, and empower countries to take steps forward for gender equality and for the environment.